While people have been trying to supercharge their lives for a long time now, the paleo diet and bulletproof coffee trends have taken the 'human upgrade' philosophy into the mainstream. High fat/low carbohydrate ketogenic diets are hot right now thanks to books like Grain Brain by Dr David Perlmutter, and bulletproof coffee has become a hip modern addition to the modern diet. 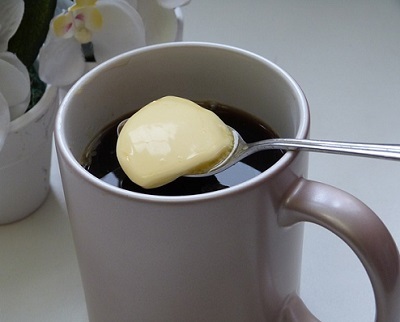 According to US entrepreneur Dave Asprey, founder of Bulletproof Coffee, adding a combination of unsalted grass-fed butter or ghee and two tablespoons of coconut oil to your coffee will keep your body energised and brain focussed for hours. Dave Asprey has gone much further than putting butter in his coffee, however, taking prescription medications to boost brain power, keep focus, and slow down the aging process. Claiming to sleep just five hours a night, Asprey also says he has lost 45 kilograms and upgraded his IQ by 12 points simply by making different lifestyle choices. This extreme form of biological self improvement has become associated with the movement of biohacking, a term defined as the practice of engaging biology with a hacker ethic. “The high tech boom is boring compared to what’s happening with biohacking,” said Mr Asprey in a recent interview with news.com.au, adding “Biohacking is the art and scene of taking control of your own biology. You do that by taking care of the environment around you and inside you.” While biohackers were originally identified with transhumanist and biopunk ideologies that involved extreme body modification, the paleo movement and other mainstream 'upgrade' practices have shone new light on the biohacking philosophy. The new 'upgrade' movement is not without its critics, however, especially when it comes to the use of supplements and medication. While saturated fat diets are definitely back in fashion with many nutritionists and mental performance can be enhanced through brain exercises, the use of prescription drugs to enhance human biology is controversial to say the least. Over-the-counter amino acids and other nootropics have been shown to influence cognitive function in some cases, however, often without the side effects of prescription medications. While upgrading to 'super human' status is probably nothing more than a pipe dream, most people are functioning below their optimal capacity. Even if the big claims made by the biohacking community are somewhat unrealistic, with a few smart changes to our diet, exercise regime, and lifestyle, we are all capable of better living through biology.